Leon Battista Alberti (1404-1472) was one of the most exciting figures of the Italian Renaissance. He wrote the first modern treatise on painting, the first modern manual of classical architecture, and a powerful set of "dialogues" about the princely families of Florence. But Alberti also made his own spectacular advances in the art of painting and in engineering, and was responsible for some of the most exciting architectural designs in Italy. 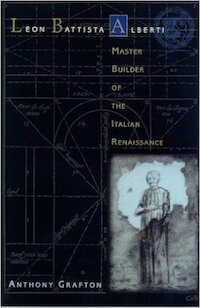 In this volume, one of our most distinguished Renaissance scholars offers the superlative biography and cultural history that Alberti has long deserved. It is a compelling portrait of a mysterious and original intellectual.